A screencast is a digital recording of a computer screen's output, often containing designer-created audio. Just as a screenshot is a picture of a computer screen, a screencast is a movie of what the user sees on the the monitor. Many of the instructional videos you see online have been developed using some form of screen capture or screencasting software. These programs 'catch' or 'capture' what is happening on your screen and record it. 1) Develop short how-to videos and video-based, narrated demonstrations. These are useful when students are absent or which to review what happened in the lesson at their own tie. 2) Create student-designed tutorials. Students then become the instructors. This is an excellent assessment opportunity to show student understanding and skill. 3) Provide digital reviews of software, rubrics, classroom rules, school policies etc. 4) Present an explanation of detailed content-specific materials that students can watch repeatedly. 5) Create digital storytelling projects. 6) Use Powerpoint or Keynote to create digital videos. Record them as a screencast with narration. They will be saved as a movie that can then be uploaded to websites and blogs. There are a range of screen capture tools available that allow you to record what is happening on your computer screen. 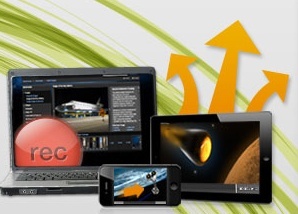 Create instructional videos and tutorials that relate to your educational program. Simple and FREE, Jing lets you create images and videos of what you see on your computer screen, then share them instantly! Camtasia gives you the tools to customize and edit your videos. Record on-screen activity, add imported media, create interactive content, and share high-quality, HD videos that your viewers can watch anytime, on nearly any device. Screenr is a web-based screen recorder to create and share your webcasts.